Period of creation 2004-06-12 to 2004-12-31. 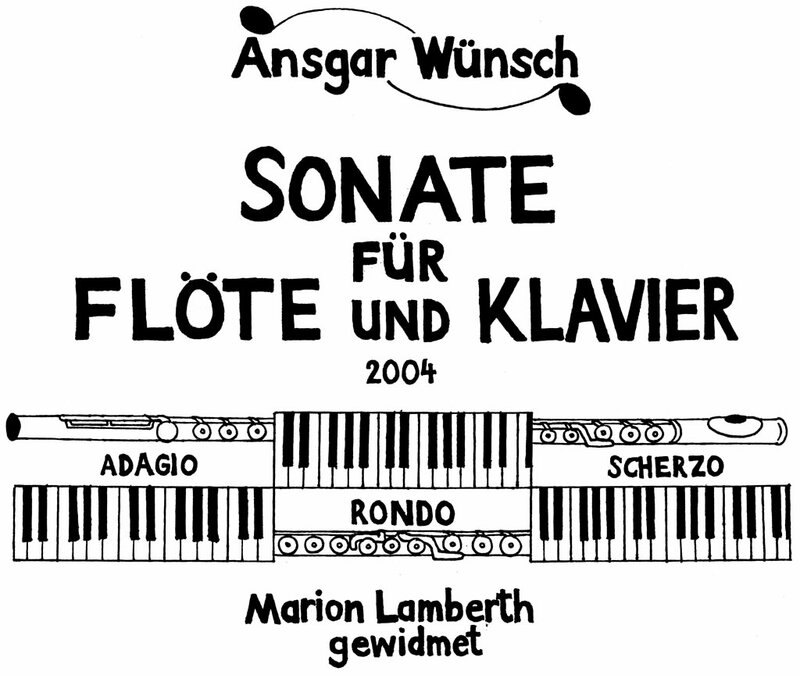 The sonata for flute and piano tries to combine traditional types of musical form with the tonal language of free atonality. The longing Adagio begins with an expressive exposi­tion of the thematic material (ABA’), develops this material in a playful centrepiece and ends with a re­ca­pi­tu­lation in terms of a flute and a piano solo. The jovial Rondo consists of 3 rhythmical thematic parts – each with interchanged roles – and of 2 medi­tative verses which discuss the interval of the minor third. A fan­fare-like introduction and a thematic­al­ly related coda build the framework. In the Scherzo, two cool polymetrical scherzo parts are contrasted by a trio and a coda which lead the list­en­er into new sound spheres.